There is one SUV that has been quintessential to the car market for decades, further pushing what it means to have an off-roading vehicle that can perform on the road. That SUV is the Jeep Wrangler, and it has been completely redesigned for the 2018 model year. This new 2018 Wrangler tackles any concerns you may have had about this SUV, by providing a refresh to the styling, a high-quality interior, and new engines to get you even more excited about off-roading adventures. This Wrangler is wider, taller, and longer than its predecessor, and the modern technology that is provided inside is sure to get your mouth watering. Interested in learning more? Keep reading down below to learn about the design changes and engine additions that have been made to this new Wrangler model. 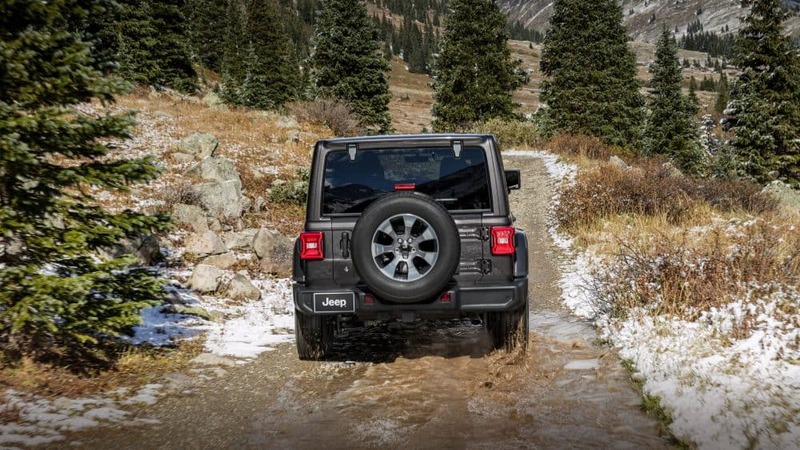 What trim levels come with the Wrangler JL? 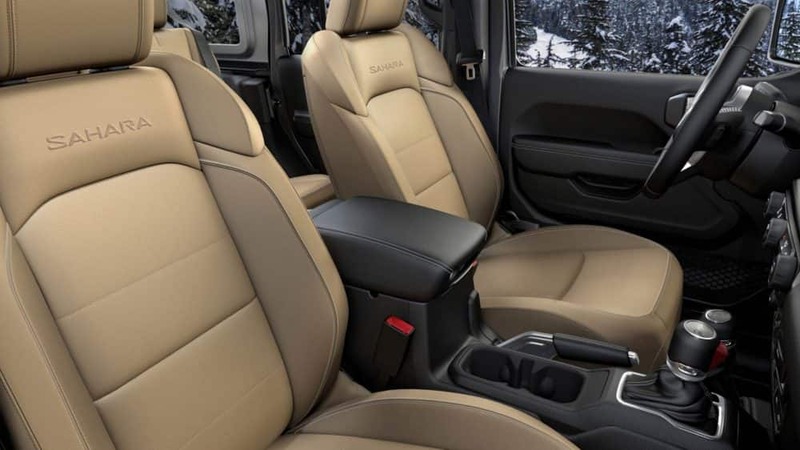 One of the special things about Wrangler SUVs is that you can choose not only between trim levels but body styles. This Wrangler is available with two body-styles: the four-door Unlimited and the two-door. The trim levels for both are the same, with the exception of the Sahara trim which is only available with the Unlimited. The base model is called the Sport. You'll get features like an 8-speaker sound system, a five-inch Uconnect touchscreen display, a fold-down windshield, a tilt-and-telescoping steering wheel, skid plates, Bluetooth, keyless entry, cruise control, a USB port, a rearview camera, air conditioning, and a height-adjustable driver's seat. The Unlimited only trim, the Sahara, comes with a driver information display, 18-inch alloy wheels, Apple CarPlay and Android Auto smartphone integration, automatic LED headlights,painted exterior body panels and trim, a 115-volt outlet, satellite radio, an additional USB port, LED foglights, and an upgraded Uconnect system with a seven-inch touchscreen. The highest trim for body styles is the Rubicon. This trim adds an electronically disconnecting front roll bar, shorter 4.10 axle fearing, an additional USB port, a heavy-duty Dana M210 front axle, and electronic front and rear locking differentials. What engines are offered with the Wrangler JL? Two engines are now offered with the Jeep Wrangler. The first of these is the always reliable 3.6-liter V6 Pentastar, which has found a home in many Jeep vehicles. This engine can create 260 pound-feet of torque and 285 horsepower. You can pair this engine with either an 8-speed automatic transmission or a brand new six-speed manual transmission. The other engine option is a 2.0-liter turbocharged inline-4, generating 295 pound-feet of torque and 268 horsepower. 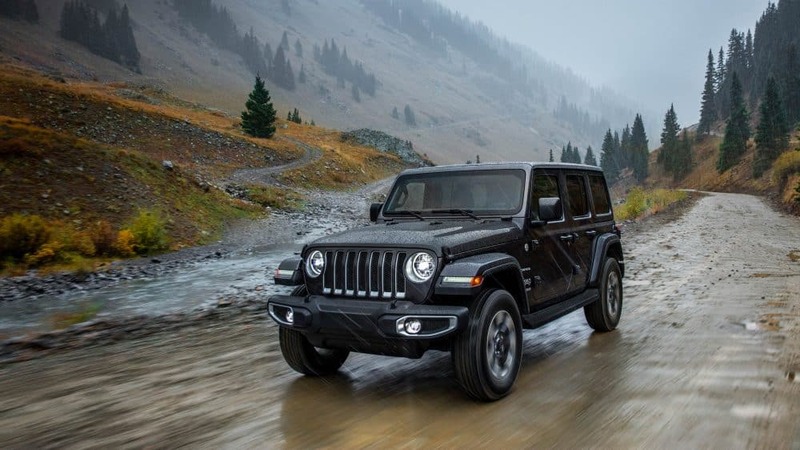 This engine is new to the Wrangler and comes standard with the eight-speed automatic transmission. What safety systems come with the Wrangler JL? The 2018 Wrangler is modern in every aspect, including safety features. You'll find plenty of safety with the high-strength steel beams alone, which create vehicle stiffness and improve side-impact performance. You'll also find an advanced front and side airbag system. Other modern safety features available include blind-spot monitoring, rear cross path detection, a ParkSense rear park assist system, hill start assist, and a Parkview rear backup camera. If you love Jeep Wranglers of the past, then you will love the 2018 Jeep Wrangler. 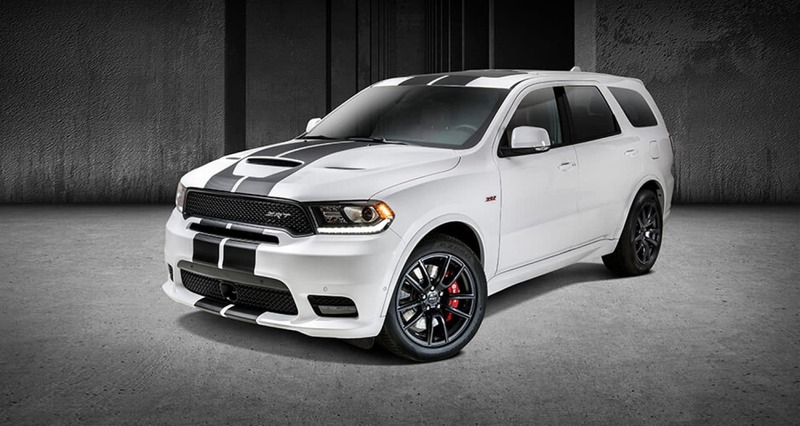 This SUV has been redesigned and has come back stronger than ever. Not only are there now two amazing engine options, but the high-quality materials that are used throughout truly make a difference. Schedule a test drive with us today to find out for yourself!